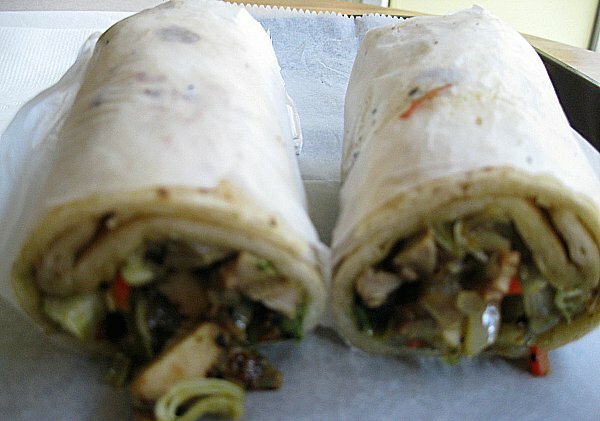 LTHForum.com - Kati Rolls in Chicago? LTH Home > Chat > Eating Out in Chicagoland > Kati Rolls in Chicago? After spending the last 3 weeks in India I've grown quite fond of Kati (Kathi) rolls. Here's a short description on wikipedia http://en.wikipedia.org/wiki/Kati_roll. We've been eating at http://www.thekathicrossing.com/ in Koregoan Park, Pune India for the last 3 weeks at least 2x per week. Does anyone know if there's anywhere in Chicago that serves such delicious treats? These sound like a great on-the-go food though...I wonder if they're available on the streets in NYC anywhere. I've never seen them, but hey, I'd get in line to pick one up at a drive through, and would consider buying a franchise. South Asian has a big opportunity for fast food if it can be eaten while on the go, and tikka masala atop rice just doesn't work in the car. I'm with you Joel. I posted elsewhere about how popular these are in NYC. We need this in our city too. While they simply refer to them as Rolls, I've had omelet rolled tightly in paratha at Hyderabad House, they offer gyro, kabab, chicken and beef boti paratha as well. Not sure, as I not had, how the latter are rolled. As Khaopaat mentions, all components are available simply a matter of communicating your order, not always an easy task if there is lack of common language. Yes. No need to roll your own. 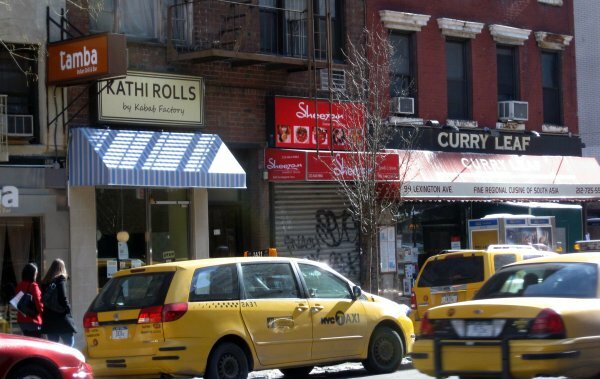 No need to be jealous of NYC's smaller Desi scene. The paratha rolls of Orleans and Devon have been well documented here for years. As with many such street foods, we have good versions, although no "chain" with marketing so they remain somewhat unnoticed. Like Gary, I am partial to H-House, but there are quite a few other options too. I used to visit Kabbabish of London on Devon (which, contrary to what I just said is a mini chain with outposts in India and the UK), something of a roll specialist. Not sure if they remain. Baba Palace and Zaiqa will make them too. PS, the relative lack of street vendors in Chicago keeps some of the best stuff in neighborhoods and out of our parks and streetcorners downtown. African and Jamaican trucks are the exception... One enterprising guy could probably make a good living slinging paratha rolls out of a food truck, especially if he or she set up near a major cab stand. On the other hand, the places on Orleans are convenient, have parking and places to pray. Bismillah on ridge makes paratha rolls of all kinds. So does Ghareeb Nawaz, including a killer gyros version. The owner of this Curry Hill place told me that he expects his $5 Kathi rolls to be the new Subway. Kennyz wrote: The owner of this Curry Hill place told me that he expects his $5 Kathi rolls to be the new Subway. I think he's on to something. Those look delicious, and would easily beat the hell out of a "Five...Five Dollar...Five Dollar Footlong" any day. Years ago when I worked in NYC, I ate at that place. Back then it was a dank hole-in-the-wall with not so great food. Looks like the awning has changed for the better. For the proprietor's sake, I hope the food has as well. No idea why he kept the Kabob Factory as part of the name, but the owner of Kathi Rolls is brand new, completely unaffiliated with the old place. Kathi Rolls opened fairly recently. 9. Shami Roll appetizer shami khebob is rolled in paratha with onions, chilies, tomatoes and green chutney. All of the Devon / Orleans suggestions above should also do the trick. I've had these in NYC at The Kati Roll Company many times, at both locations. They're unbelievable. They're so good that the last time I was in NYC, I bought a few extra for my wife, refrigerated them, and packed them for the flight home in some foil. My bags smelled awesome! JoelF wrote: I've never seen them, but hey, I'd get in line to pick one up at a drive through, and would consider buying a franchise. South Asian has a big opportunity for fast food if it can be eaten while on the go, and tikka masala atop rice just doesn't work in the car. Sorry man, I called "dibs" on a Chicago franchise 2 years ago. the sleeve wrote: I've had these in NYC at The Kati Roll Company many times, at both locations. They're unbelievable. Now you're talking, buddy. I'm so hungry I'm about to roll my own right now. Man these are so good. I just left India yesterday and am already missing them. The 3 of us that were there for 18 days all agreed that if we had any shred of restaurant experience we should open a place in Chicago. They would have to be a super popular after drinking food, right amount of grease, spice and flavor. Thanks for the suggestions. I'll start my quest as soon as I recover from the jet lag. I received a flyer from the Patel Brothers markets today, and the back of the flyer promotes a restaurant called J.K. Kabab with two locations, one in Hanover Park and one just north of Devon on Rockwell in Chicago. Their list of specialties include Kati Rolls. 2402 W. Army Trail Rd. I had one of these, unknowingly, at the Indian cabbie place on halsted, right across from Kendall College. It was more than a year ago, and I can't remember the name. It's "Asian-something or other" I think. The roll was good-I love paratha-and I'm pretty sure it had egg in it. I never really cared for the rest of what I tried there, over several visits. A lot of it was too greasy and muddied in flavor. bnowell724 wrote: I had one of these, unknowingly, at the Indian cabbie place on halsted, right across from Kendall College. It was more than a year ago, and I can't remember the name. It's "Asian-something or other" I think. The roll was good-I love paratha-and I'm pretty sure it had egg in it. I never really cared for the rest of what I tried there, over several visits. A lot of it was too greasy and muddied in flavor. Sounds like you were at "Flaming Wok & Grill". For all you kati lovers, you must visit the one and only restaurant in Chicago that specializes in these rolls. its called hakka bakka right by DePaul at Lincoln Park. Go check it out !!! Hakka Bakka is legit. Quick and easy and delicious. Not exactly Kati Rolls but similar enough - the best indian/pakistani rollls I've had in Chicago are at Bismillah and Bundoo Khan (a newer place that seems to be doing well). The Bihari kabab rolls in both places are excellent! In general, much better than Hakka Bakka and JK Kabab house, and definitely better than Ghareeb Nawaz.